Tips and tricks to help you carry more games in solo queue. 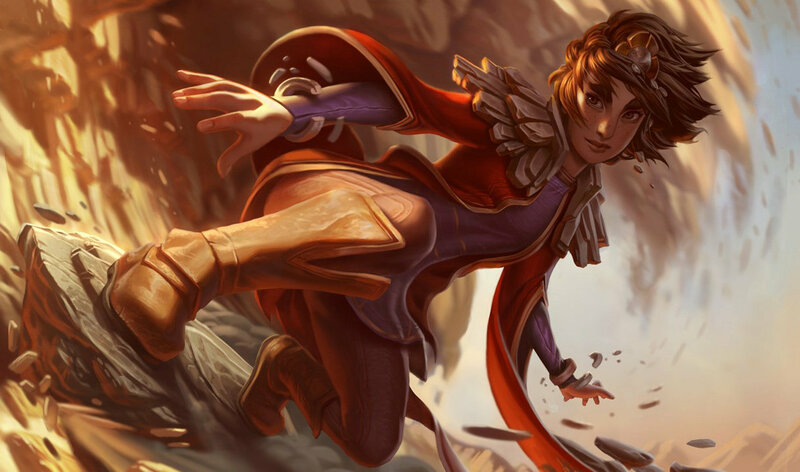 Our Carrying guide contains tips and tricks to help you carry more games in solo queue, with advice on what champions to pick, when to push objectives and more. While League of Legends is a team game at its core, there’s a lot of room for players to flex their individual skills throughout a match. It’s definitely not the easiest thing to do, but in the right circumstances, a single player can lead the whole team to victory. This is what is meant by the term carrying. Whether you gain such a lead in the early game that you become an unstoppable force, reach the late game and tear through opponents with some powerful damage, or simply take on the job of the team’s strategic shot-caller, you can find many ways to be the difference maker that carries the team. It’s not a simple task, nor is it something you should expect to grasp immediately, but follow some of the advice below and you’ll learn how to carry in the solo queue before long. 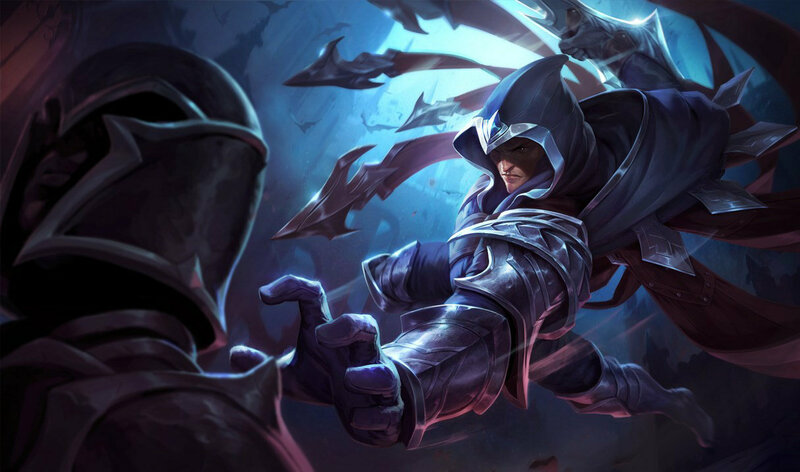 In the vast pool of champions available in League of Legends there are definitely some who are better positioned to carry a game based on their play style and proficiencies. Many of these tips apply more specifically to top, mid and ADC players, though there’s definitely some crossover with junglers and a few that can apply to supports, even if the last batch are arguably in a tougher position to carry a game. So, now you know which roles are best suited to the task, let’s now narrow that down a bit further to some individual champions. What many are looking for in a carry is someone who is tough to kill but can also deal out some significant punishment. That’ll point you towards some of the game’s bruiser champions: the ones who combine a healthy dose of tankiness with some fearsome damage potential. A go-to example that fulfils both these requirements is Jax. Not only can the Grandmaster of Arms stand toe-to-toe with any other champion in the game in a straight up fight, but he can also cause some serious harm with his combat prowess. A lot of that power comes from his abilities that emphasise his heavy damage capabilities, but also the way they scale with the addition of items across a match. That’s what makes Jax such a talented carry, as he can accelerate into a lead with the opposing team unable to shut him down. That said, you can absolutely carry with other straight AD or AP champions – just you’re approach will be altered. 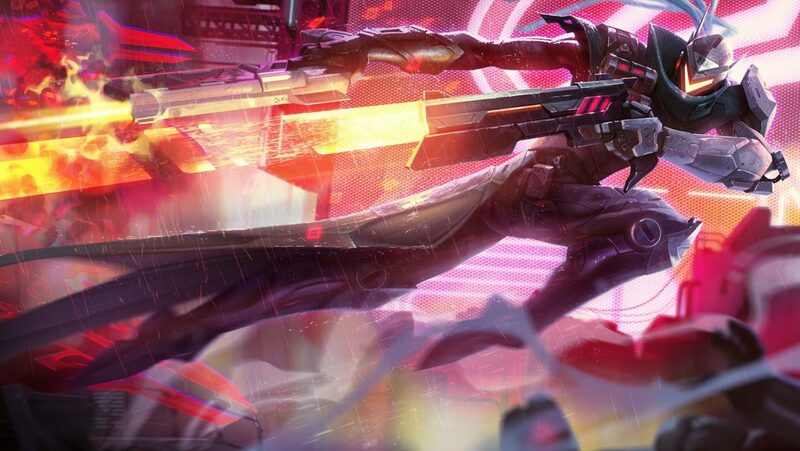 In those examples, if you go for someone like Lucian or LeBlanc, you’ll want to survive into the later stages of a match where you’ve unlocked your full damage potential. Skirt around the edges of team fights to look for targets to kill or find picks across the map and you’ll give your team the lead they need to win the game. For more on this, be sure to check our list of the best carry champions available in the game right now. Picking any of those will get you off to a good start! In spite of what we’ve said above, carrying in League of Legends doesn’t just happen when you pick a strong hero and immediately begin stomping through the enemy team. It requires a knowledge and understanding of the game’s basic mechanics executed to the best of your ability. If you focus on these and master them, you’ll be well on your way to carrying by playing with more patience and consistency than the average player. The utmost important skill to kickstart your solo queue carrying career is your creep score. Consistently being able to last-hit minions and gather gold efficiently goes a long way and can easily put you ahead of other players. Remember, about 15 CS equals one kill, so if you’re regularly last-hitting minions while your lane opponent is faffing around looking for kills or missing them instead, you can generate a significant gold lead that’ll better position you to carry later in the game. Next, you’ll want to perfect the art of trading. This isn’t about swapping a shiny Charizard for a Pidgey but dealing small chunks of damage to your lane opponent in order to get a health advantage over them, force them to play more cautiously or set up a potential kill. For this, it’s all about playing to your strengths and watching for opportunities to get on the offensive or initiate a counter-attack. Do you have a ranged attack you can use to poke them when they approach you? Can you sneak in an ability and an auto-attack when they move in to last-hit a creep? Have they put one of their key skills on cooldown giving you a window to attack? Consider all of these moment-to-moment decisions that can sway the early laning contest or a later team fight in your favour. As you transition into the mid and late game your priorities will alter slightly. You’ll want to find opportunities to start pushing down turrets and take objectives across the map – and having a coherent plan for this is better than a lot of the aimless wandering many teams descend into. You don’t want to go for these objectives simply because they are available, though. Many a game has been thrown by a team being too aggressive on Dragon or Baron and letting their opponents punish them for that mistake as the match spirals out of control. Is the majority of the enemy team dead? That’s a good time to look for Baron. Are there two or three players messing around in top lane? Now you can safely kill the Dragon. They’re less important, but if you can steal the red or blue buff from the opposing jungle then definitely do so as well. There’s less of an in-depth decision-making process when pushing turrets or inhibitors, however. Opportunities will naturally arise as you win lanes across the map, but taking down an inhibitor usually requires a little more of a coordinated team effort as it can place you in a dangerous position if things go awry. Ultimately, assess where the enemy team is and if you see a window to take an objective then go right ahead. Sure, the definition of carrying suggests you’ll be the workhorse powering your team to victory, but that doesn’t negate the fact that League of Legends is still a team game. That’s why another aspect to consider when aiming to carry is how you coordinate and cooperate with the other four players on your side. That starts way before you’ve even first warped into Summoner’s Rift and in the draft phase. Be careful not to be too laser-focused on the champion you want to play and be willing to discuss or adapt depending on the needs of the team. Think about which champions might best suit the ones currently in your roster, looking for weaknesses you can fill or devastating combos you can exploit to crush the opposing team. These simple but often neglected things like communication can play a bit part in carrying your team when in a match too. You don’t have to be quarterbacking with constant chat messages telling each player what to do at every minute, but a ping to warn another lane when someone has gone missing or placing vision wards to give your allies some extra security can all ensure they don’t fall foul to a surprise rotation. Ultimately, anything that can prevent a kill to stop other lanes from falling behind offers a positive effect on the whole outcome of the match. On the reverse of that, always be watching the map to see if you can find opportunities to create advantages in other lanes if you’ve managed to gain a lead yourself. Perhaps your lane opponent has been forced to back, so you’ll have some time to push your lane to deny them creeps and make a rotation to another to go looking for kills. Don’t stray too far or for too long at the risk of losing experience and gold yourself, but always have an eye out for where you can make plays. This is especially important if you’re the jungler too. You have one of the best vantage points to assess the current state of the game, and can look to press advantages in specific lanes where you think you’ll have an edge move in and rescue a lane that looks under threat. Whatever you do, make it clear you’re looking to make a play on a lane or assist your allies with some communication – no one on your team is a mind-reader!